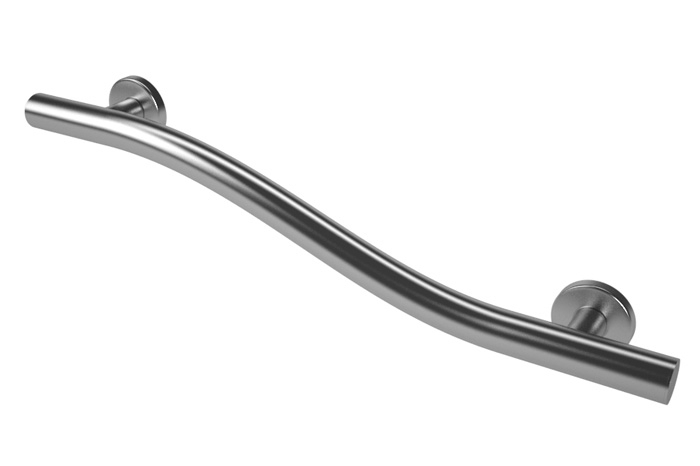 LL-2080 Wave Bar - 24"
The unique design features of the Life Line collection grab bars will not only offer the extra support and confidence you need but the style and appeal you desire as well. 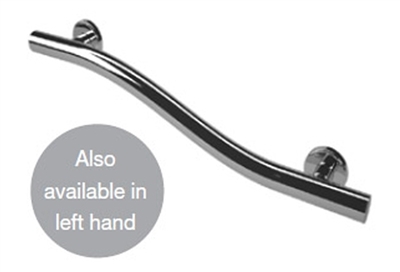 These elegant grab bars add a stylish and functional feature to your bathroom decor and blend into your bathroom as opposed to that traditional institutional look. 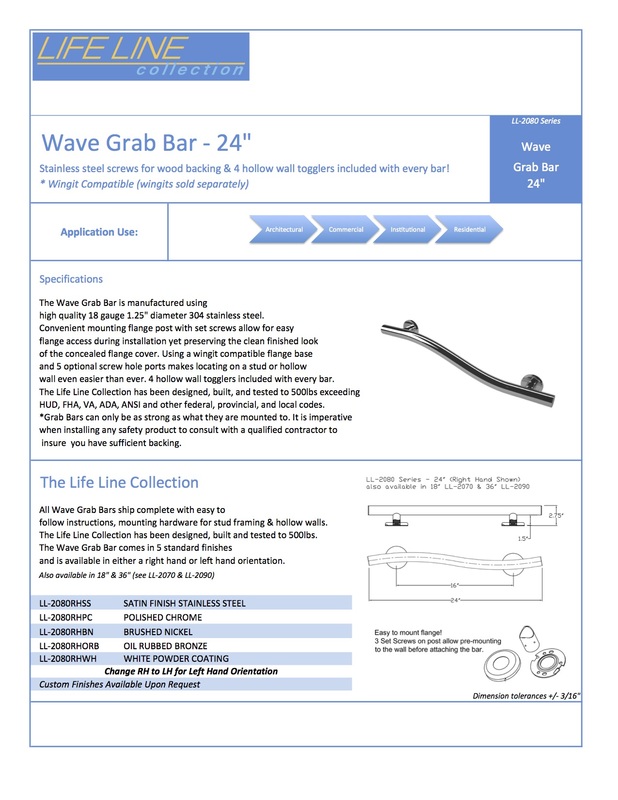 The Wave Grab Bar (mounted horizontally or vertically) is very unique and debonair. 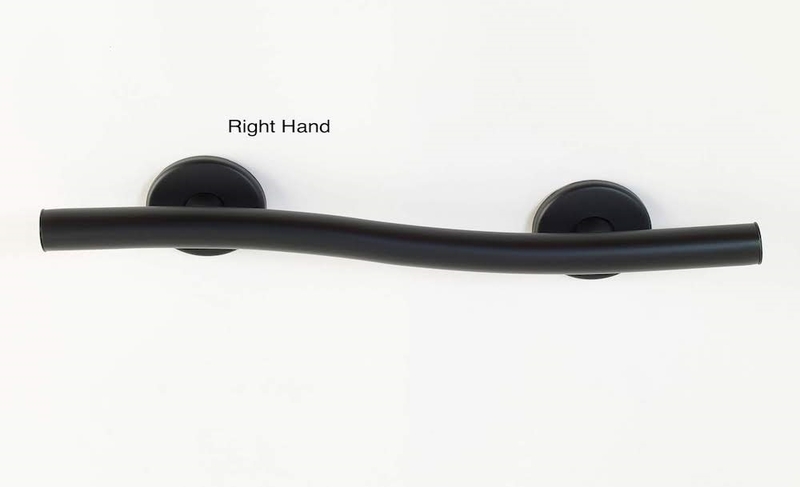 Its smart design is both sound and secure as well as stylish. Fashioned with a subtle wave like bend, its one of a kind modern look is both pleasing to the hand and eye.